At WPU your textbooks are FREE! Our bookstore is your one-stop-shop for WPU gear and technology or class supplies and snacks. Textbooks are included in the price of tuition at WPU, which saves you up to $3,000 in costs per year–but textbooks aren’t the only things our bookstore has to offer! Our selection of textbooks, general books, computers, course materials, and supplies will ensure every WPU student is prepared for success. Students pick up their FREE textbooks from the bookstore at the start of each semester, along with any other supplies they need. 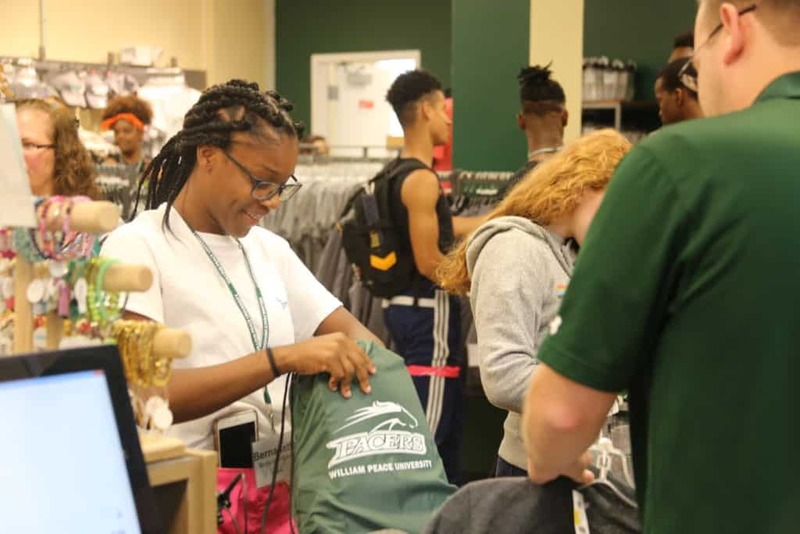 Show your Pacer pride all year long with our authentic assortment of collegiate apparel – including WPU T-shirts, sweatshirts, gifts, hats and more. But clothing and gifts aren’t all that we carry! Visit the Bookstore on campus today, or conveniently shop online! Looking for more clothing and gift options? Our online only store carries thousands of items to choose from.